Wedding Bliss Blog has tips, stories and diy projects to help future brides! If you are inspired by some of my projects and would like custom wedding decorations or banners, check out my etsy shop, RustyChicDecor. If you ask anyone who just got married about their wedding day 9/10 will say "It's the fastest day of your life!" It's true! The day goes so quickly. Luckily I was told this several times before I got married, so I made sure to stop throughout the day and take it all in. 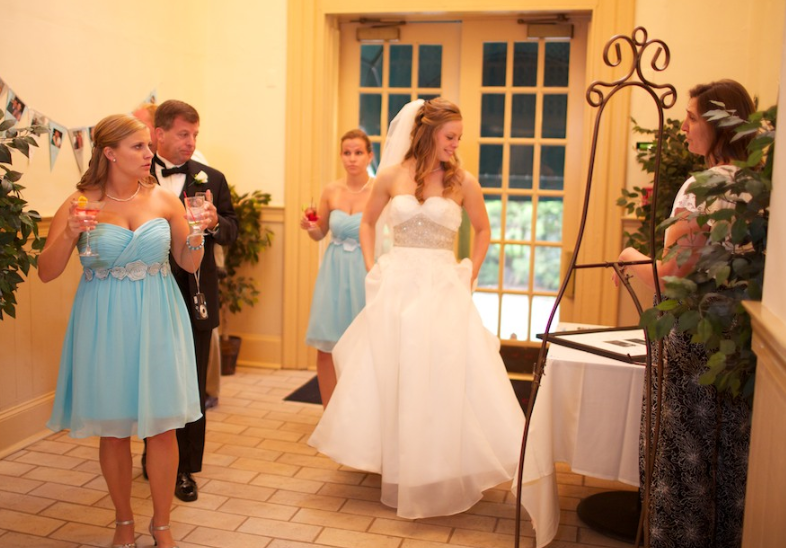 Get to your ceremony location early enough to watch your guests walk in. Take a moment to scan the crowd during the ceremony. Stand back for a moment at cocktail hour and watch everyone. Sit down for a minute during the reception and watch everyone dance. (so this one didn't happen because I was dancing the whole time!) but you get the point. Another fantastic way to remember your big day is to have a guest book. When I hear wedding guest book I think of a padded book with lined pages that goes on your coffee table for a year and eventually becomes a dust collector. I was so happy to discover the trend of wedding guest books has evolved into creative and fun pieces that serve a purpose. There are so many ideas for brides to choose from. It is important to decide how the guest book fits in with your theme and the purpose it will serve once the wedding is over. Here are some ideas I found when looking for wedding guests books. There should be consistency with the pictures. Have a theme, steel objects, country items, etc. Make sure you take the picture of each object from the same distance. 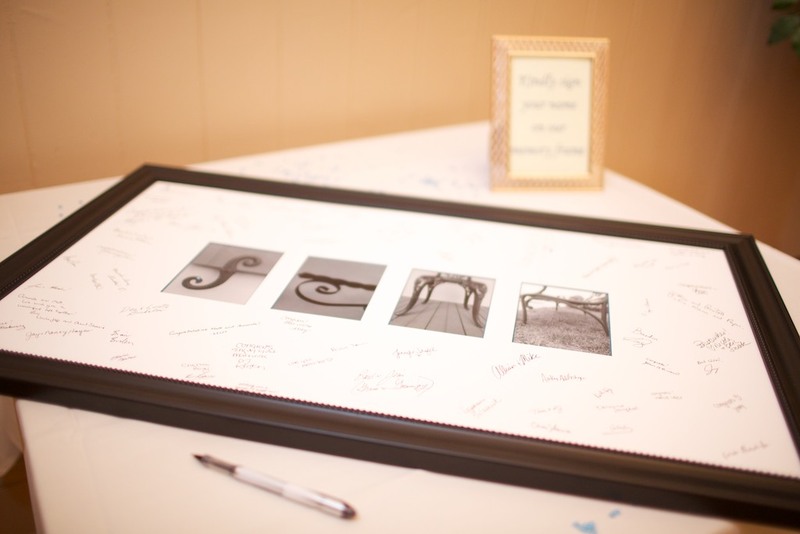 Once you put all your hard work into your guestbook, you want to make sure all your guest's sign it. You can assign a trusted friend or family member to keep an eye on the guest book. Remember all those friends and family members that say "I want to help, Just let me know how!" I used my Aunt Tania who did an amazing job asking each guest to sign. They don't have to stand their all night, but just have them be the advocate for you guest book! There are tons of new ideas for wedding guest books. You don't have to use them. Let your mind run wild. Brainstorm with your mom and bridesmaids to come up with a wedding guest book that will fit your theme and personal style! Hey beautiful bride to be, I would love to hear from you. Please let me know if you have questions and I will try my best to answer! I married my wonderful husband on August 25, 2012. During our 2 year engagement I planned our wedding on a $20,000 budget with the help of my mom. My hope is for future brides to read my blog and learn that you can plan your dream wedding with some time, dedication and creativity. The blog entries have DIY projects, stories and tips on planning a wedding. If you are inspired and would like custom wedding decor and banners, contact me through my etsy shop, RustyChicDecor. Thank you! !